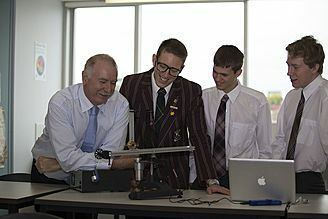 Scotch College has been at the forefront of education since its foundation in 1897. Throughout its long history, the School has upheld a tradition of excellence that is reflected in a wide and progressive curriculum. Please look through our website for an introduction to Scotch College. We welcome direct enquiries and invite you to see Scotch in action through a personal tour of the School, which enables you to see our facilities first hand. Scotch College Junior School, was the first school in Western Australia to implement the International Baccalaureate (IB) Primary Years Programme (PYP). The school has been an IB World school since June 2003 and now offers all three IB programmes. 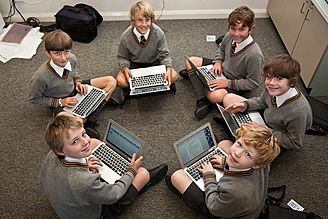 The Primary Years Programme at Scotch College utilises the extensive research of the International Baccalaureate Organization (IBO) to provide boys with the best possible framework to support learning in the early classroom years. The IB frames the educational philosophy and pedagogy of the whole school community and is a comprehensive structure that assists our school in actively focusing on the Junior School’s co-mission: Knowing the Boy; Inspiring Excellence; Embracing Discovery and Learning Globally. Our written curriculum is based on the Australian and the Western Australian Curriculum, and is taught in a transdisciplinary, concept-driven and inquiry-based approach. Thorough and ongoing assessment is key to ensuring we know our boys and can differentiate their learning accordingly. The teaching and learning programme focuses on connecting our boys to the world they live in through hands on, real life experiences. We study global issues of significance within our local and national context. Learning is further supported and enhanced through specialist programmes in: Performing Arts, Visual Arts, Physical Education, French as an additional language and instrumental music. Across the school the 10 attributes of the IB Learner Profile (inquirers, knowledgeable, thinkers, communicators, principled, open-minded, caring, risk-takers, balanced and reflective) are continually developed. These 10 aspirational qualities inspire and motivate the work of both students and teachers. They are a set of learning outcomes that promote life long learning. Students in the 21st Century are faced with the challenge of learning about an interconnected world where knowledge is constantly developing. The International Baccalaureate (IB) Primary Years Programme prepares students to be active participants in a lifelong journey of learning. This is our focus at Scotch. Our academic programme is delivered within the framework of the International Baccalureate Middle Years Programme the West Australian Curriculum and the Australian Curriculum. Service, attitude development and preparation for participation in an increasingly global society are strong features of our Middle Years programme. Whilst providing an environment where students feel secure, happy and recognised, the middle years are also about offering boys increased opportunity and challenges to discover how they learn, how to manage themselves, how to work with others and where they want to go. Opportunities abound in Music, Performing Arts, Design and Technology, Sport, the Visual Arts and Outdoor Education to develop and pursue areas of interest to sophisticated levels. Scotch College has offered the IB Diploma Programme since 2010, making it the first school in Western Australia to offer all three International Baccalaureate programmes (Diploma, Middle Years and Primary Years). A Memorandum of Understanding with our sister school, Presbyterian Ladies’ College, allows for increased diversity and wider subject choice at Diploma level. Subjects offered at SL/HL include: Group 1 - Language and Literature; Literature; Group 2 – French; Indonesian; Spanish; (other languages by arrangement); Group 3 – Economics; Geography; History; Business Management; Global Politics Group 4 – Biology; Chemistry; Physics; Design Technology; Group 5 – Mathematical Studies; Mathematics; Group 6 – Music; Film; Theatre; Visual Arts.